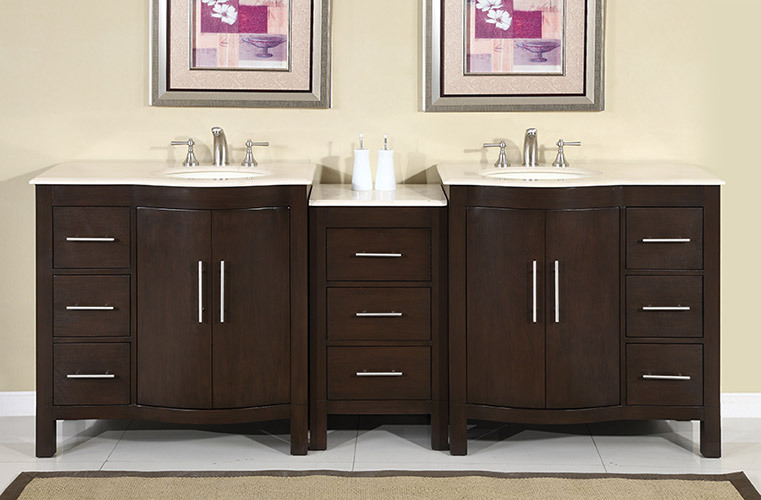 The Avola Double Sink Vanity puts together form with function for a look that is truly modern. It is hand crafted and hand painted, which means each Avola is unique and charming. The cream Marfil marble countertop comes pre-drilled for faucet installation and also includes two white ceramic undermount sinks. 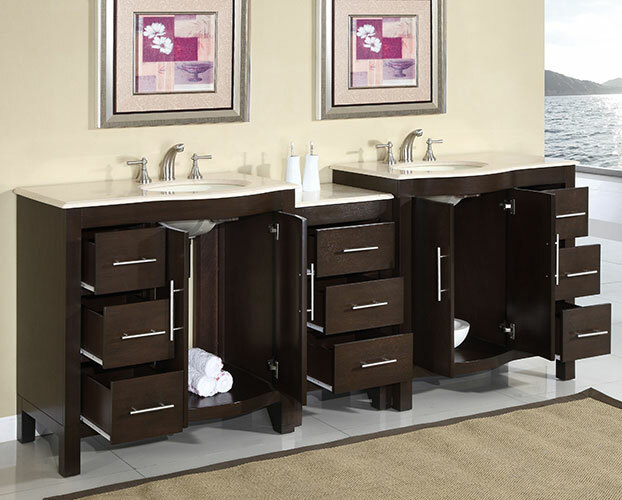 The two sinks are detachable, as well as the central drawer bank, so you can rearrange the Avola to best fit your needs. Faucets are sold separately.